AIPMT 2016 is popularly known as All India Pre-Medical / Pre-Dental Entrance Exam is a national level medical entrance exam. AIPMT is conducted by Central Board of Secondary Education (CBSE). It is conducted to offer admission to aspirants in MBBS and BDS in various medical colleges across India. 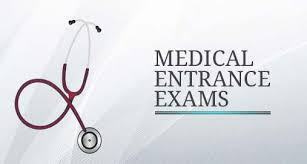 The admission of 15% of the total seats for medical/ dental courses in medical college is run by university of India, municipal, state government and other local authorities of India except Jammu& Kashmir is made on the basis of AIPMT exam. Applicants shall fill the AIPMT 2016 application form in the month of December, 2015. AIPMT 2016 exam shall be around 1st week of May, 2016. Applicants must complete 17 years on or before 31st December, 2016 at the time of admission. The upper age limit for applicants looking for admission under 15% all India Quota Seats is 25 years as on 31st December of the year of the entrance examination. A relaxation of 5 years in upper age limit of applicants belonging from SC/ ST/ Other Backward Classes is provided to them. Applicant should score a minimum of 50% aggregate marks in case of general category and 40% in case of SC/ ST category applicants with PCB (Physics, Chemistry and Biology) and English as subjects from a recognized university to apply for the examination. Candidates who are interested must fill and submit AIPMT 2016 application form. Step 1: Applicants need to visit http://www.aipmt.nic.in and download the application form. Step 2: Applicants are required to fill their necessary detail like name, mobile number, email ID and note down registration number. Step 3: Applicants have to fill in their personal, qualification and other details as required in the form. Step 4: Applicants need to upload their latest passport size photograph (JPG format between 10kb and 100kb), signature (JPG format between 3kb and 20kb) and thumb impression (JPG format between 3kb and 20kb) and submit it. Step 5: After completion of filling form applicant need to pay application fees through Debit/ Credit card or e-challan. Step 6: Applicant is required to print their application form for further situation. For any information about application process visit website mentioned above. Application Fees: To complete the application successfully applicants need to make payment of their AIPMT form of Rs 1200/- for general /OBC category and Rs 650/- for SC/ ST/ PH category applicants. Applicants will be charged late payment of total Rs 2400/- for general /OBC category and Rs 1850/- for SC/ ST/ PH category applicants. The paper shall consist of 180 multiple choice objective type questions of 720 marks. The time for the paper will be 3 hours. Applicants will get the option of selecting the paper either in Hindi or English. Applicants 1 mark will be reduced for each wrong answer and 4 marks will be added for each correct answer given.